What is in question in political experience is not a higher end but being-into-language itself as pure mediality, being-into-a-means as an irreducible condition of human beings. Politics is the exhibition of a mediality: it is the act of making a means visible as such. Koivusalo, Markku: “Ihminen vailla ääntä.” [The Human without the voice.] Postface in the Finnish translation of Giorgio Agamben’s Mezzi senza fine. Note sulla politica (1996). Keinot vailla päämääriä: reunamerkintöjä politiikasta. Helsinki, Tutkijaliitto/Paradeigma 2001, pp. 83-121. Koivusalo, Markku: ”Paavali, täällä, tänään – Nyt! On Levon aika.” [Saint Paul, Here, Today – Now! It is time to rest.] 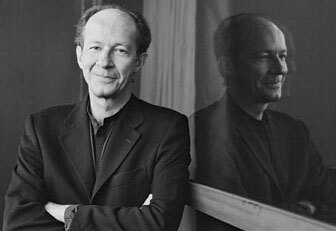 Review of Giorgio Agamben: Il tempo che resta. Bollati Boringhieri 2000. Tiede & edistys: Interdisciplinary critical science journal 26 (2001) : 4, pp. 314-319. Koivusalo, Markku: ”Epäihmisen etiikka.” [The Ethics of Non-human.] Review article of Giorgio Agamben: The Remnants of Auschwitz. Zone Books 2000. Tiede & edistys: Interdisciplinary critical science journal 25 (2000): 3, pp. 219-230. Koivusalo, Markku: ”Elämän ja Kuoleman tällä puolen.” [Within the death and life.] Nuori Voima literary journal 2:1996. Review of Finnish translation of Giorgio Agamben: La communità che viene. Koivusalo, Markku: ”Filosofin todellinen yhteisö on eettinen yhteisö.” [The real community of philosophers is the ethical community.] Review of Finnish translation of Giorgio Agamben La communità che viene. Helsingin Sanomat 11.5. Developments and Criticism of Giorgio Agamben’s Political Philosophy.Friday 15th of May 2015. Helsinki. The New Concepts of Politics. Helsinki Main City Library. 2011. The Philosophy of Power and Potentiality. 29th Annual IAPL Conference. 2-7.June 2005 Helsinki. The Italian Effect in Political Philosophy. The Italian Effect Conference. The University of Sydney & UTS 9-11.9.2004. Political animal and bare life. Spectacle and Politics Colloquium. University of Turku. 2004. Finnish Researcher Association 20th summer school, Kallio-Kuninkala, Järvenpää august 2001. Giorgio Agamben and the unconditional community. The Philosophy of Giorgio Agamben. Presentation in Critical Coffee House 9.2001. The Political Choreography of the State of Exception. Agamben and Vocation of Art. PHD Seminar, Finnish Academy of Fine Arts 2002. Giorgio Agamben. The Philosophy of Power without Force.